This is just the first entry in which I intend to display this flowchart. You'll be seeing it again! Here I want to discuss the flowchart itself and how it applies both to biblical and to non-biblical texts. 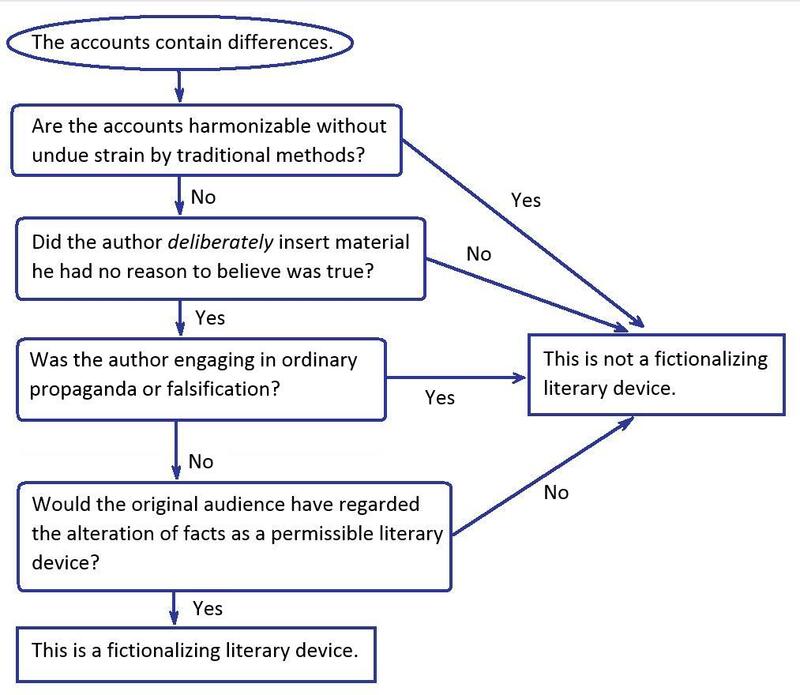 The intention is to provide a framework for evaluating the claims of Richard Burridge, Michael Licona, and various Roman history scholars concerning the alleged presence of fictionalizing "literary devices" in an ostensibly historical work.